Monckton Chambers is “a particularly well-run operation” that rakes in praise for its “modern outlook and commercial approach.” In part this is because of its “friendly and reliable” barristers, who are never “haughty” and who work well together to foster a much-praised and much-appreciated “non-stuffy” atmosphere. The “excellent clerking” deserves credit for its part in cultivating this congenial climate. Under the command of senior clerk David Hockney, the “personable and commercial” team is on the ball, “super-responsive and accommodating.” Clients are especially impressed by the way the clerking team “keeps itself in the loop.” This enables it to quickly identify any issues that arise and respond effectively with solutions. In keeping with its modern outlook, Monckton doesn’t go in for “dusty meetings in cluttered rooms,” offering instead a “fantastic series of conferences” in a modern, agreeable environment. Jon Turner QC’s talents tend towards competition issues, and he is widely seen as being “a man of fabulous intellect, who always offers great support to those that instruct him.” He has been a notable favourite for telecoms operators over the past year, acting in several challenges to Ofcom decisions in all levels of court. Interviewees agree that the “first-class” Tim Ward QC well deserved his promotion to silk. He has lately acted for Vodafone in a successful challenge to the jurisdiction of the Competition Appeal Tribunal, and also successfully handled a judicial review for ShopDirect in a challenge to the Competition Commission’s findings on payment protection. Gerry Facenna has a fine public law practice with a heavy emphasis on EU law. “Very focused in all he does and always working to a high standard,” he recently demonstrated his skills in a case before the European Court of Justice. He has also been involved in a high-profile Information Tribunal case on behalf of the Cabinet Office. Competition law forms the very lifeblood of Monckton Chambers. One of the real pioneers in the field, it has a tradition of handling the best work that goes back 30 to 40 years. Its members “have always worked to rigorously high standards” and are noted for the “real strength and breadth of expertise they offer.” “Straightforward and client-friendly,” they are extremely pleasant out of court but “well capable of mixing it with the best once in a courtroom scenario.” They are part of a set that has long been regarded as one of the big two in this field, and one that is felt to be going from strength to strength following the appointment to silk of a number of its members in the recent past. Another fully committed performer is the “user-friendly” John Swift QC, who “is enjoyable to work with and, as a former regulator, offers extremely valuable insights into matters that others don’t.” “Not afraid to get stuck in,” he is much appreciated by quality solicitors. Recently, Swift acted for the Competition Commission in a dispute concerning the proposed merger of Sports Direct and JJB. Swift’s head of chambers is Paul Lasok QC, ” a heavyweight in the field who has a deep understanding of the EU framework.” He acted as lead counsel on behalf of ISG Pearce in its appeal against the OFT decision to fine the company £5 million following its involvement in price fixing in the construction industry. Jon Turner QC receives high praise from sources, who state that “he is hands-on, tenacious, and worth his weight in gold as he knows the OFT inside out.” “Hard-working and tactically astute, he is simply excellent to work with,” according to solicitors. His many notable cases have included leading the team for Reckitt Benckiser in relation to the OFT’s abuse of dominance investigation for its conduct in the supply of the stomach remedy Gaviscon. Turner is one of the set’s big names along with Christopher Vajda QC. 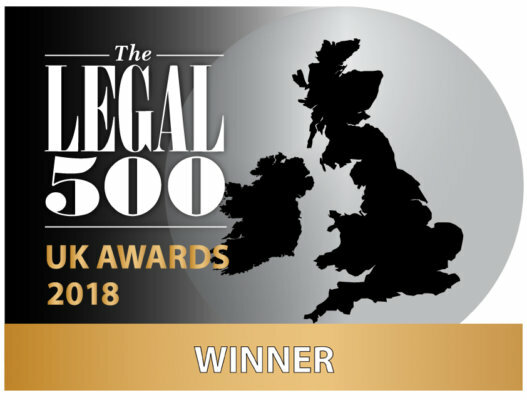 Recent silk Daniel Beard QC comes highly recommended for his competition law expertise and has been dubbed “the star of his generation” by a number of market commentators. Instructing solicitors applaud his “outstanding feel for, and understanding of, competition litigation in the UK,” noting that he “perfectly comprehends the workings of the Competition Appeal Tribunal.” He was recently instructed by the defendant in Emerson Electric v Morgan Crucible, with regards to a follow-on claim against members of an alleged cartel which produced motor components. Another popular new silk is Paul Harris QC. Commended for his expertise and skill, he is described by solicitors as “a fantastic street fighter in court.” He has been acting in the high-profile recruitment industry cartel case Hays Specialist Recruitment Ltd v Office of Fair Trading. Finally, Tim Ward QC is seen as a “class operator” by those that use him. He was instructed by Freesat in BSkyB & Others v Ofcom, a dispute as to wholesale access to Sky’s premium sports channels. Highly sought after junior Josh Holmes “is a delight to work with,” according to his solicitor fan base. “He is a really easy person to get on with, extremely clever in an understated way and very collaborative in his approach,” say those that use him. He has been instructed on appeals against the gas-insulated switchgear cartel decision and is also acting in a major state aid appeal. Stablemate Meredith Pickford wins admiration from instructing solicitors as an “outstanding junior.” He is instructed as junior for Sky in its case over Ofcom’s decisions to force Sky to license its premium sports and movie channels to its competitors at Ofcom’s set rates. Also impressive, Ronit Kreisberger offers both “incisive analytical skills and compendious legal knowledge.” A “quietly destructive advocate who produces easy-to-follow oral submissions,” she is someone with “endless drive and determination.” “Intellectually stimulating to work with,” she acted for Cathay Pacific in its appeal against the European Commission’s decision to impose fines on 11 air cargo carriers for participating in a worldwide fuel and security surcharges cartel. Former Allen & Overy partner Alistair Lindsay wins praise as “someone who eschews prolix opinions and comes straight to the point.” Appreciated by instructing solicitors as “forward thinking and an excellent team player,” he has been acting on behalf of Fortis regarding an OFT investigation into the motor insurance market. George Peretz is a junior who acts unled much of the time, prompting many to speculate that he cannot be far off silk. He has been appearing in the construction industry price-fixing litigation as well as Oxley Threads v European Communities, an important case on cartel fines. Instructing solicitors seek him out as they do Kassie Smith, who brings to the table “a commonsense approach and all-round legal excellence.” She has been acting for the Competition Commission in Stagecoach Group Plc v Competition Commission. Philip Moser is another highly regarded junior at the set. His recent work includes acting for Defra/UK government in a case concerning the calculation of the sugar levy. Moser is well respected alongside accomplished courtroom performer Anneli Howard. Howard’s past expertise both as an associate at Freshfields Bruckhaus Deringer and as a Référendaire at the ECJ means she is an able hand when it comes to competition and EU law matters. She has been acting in the OFT investigation into price fixing between tobacco manufacturers and a large number of high street supermarkets. Ben Rayment is seen as having a fine future ahead of him. 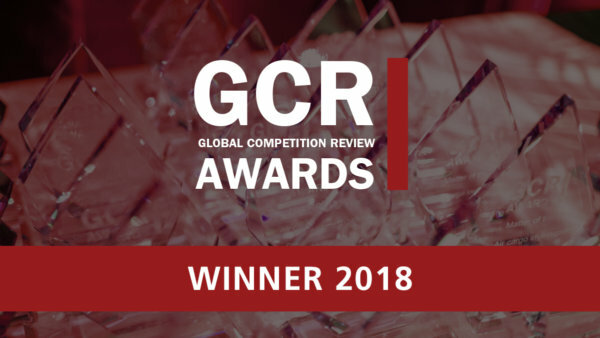 “Exceptional and something of a rising star,” he has a background as the legal secretary to the UK Competition Commission and the Competition Appeal Tribunal, and is noted for his strong advocacy skills. He acted as junior in BAA Plc v Competition Commission, a judicial review challenge to the Commission’s decision to order BAA to divest itself of a number of its airports. Michael Bowsher QC of Monckton Chambers is the lead name in the sector for construction-related procurement instructions. Sources state that he is “the premier counsel bar none” on such issues. 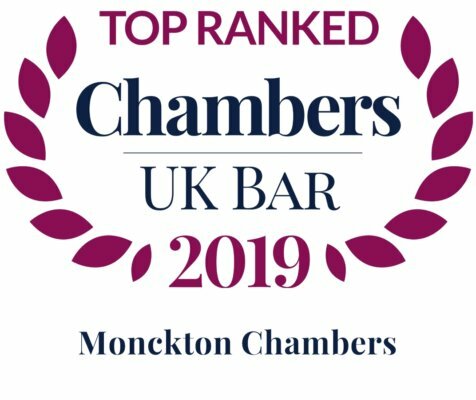 Sources assess the overall level of service at Monckton Chambers as being of a very high standard, with its clerks winning particular praise for their “responsiveness, friendliness, and reliability.” The set is home to a group of “highly knowledgeable and very firm advocates,” who have a particularly strong reputation in EU law. They are much sought after by clients seeking advice on the impact on domestic law of EU environmental legislation. The set also maintains a fine track record for work on behalf of regulators. Jon Turner QC is “extremely thorough and excellent on his feet.” In addition to his expertise in public and environmental law, he is very popular in the competition and telecoms arena. Recently, he represented the Environment Agency in a judicial review brought against it by landfill operator Anti Waste. This case hinged on the agency’s approach to compliance with EU-wide landfill laws and EU groundwater protection laws. Paul Lasok QC’s “encyclopaedic knowledge of EU law brings an added dimension to his procurement practice,” note sources, who are also quick to highlight his strong reputation in the competition and state aid arenas. Valentina Sloane elicits strong praise from peers due to her “clear experience of and skill in handling procurement work.” Her qualities were recently demonstrated when she handled a procurement claim relating to the Sandwell Waste Improvement Programme. Rob Williams has had a busy year, being involved in the high-profile case of Alstom v Eurostar Project and also acting for Mehler in a successful challenge concerning the procurement of armoured vests by the Metropolitan Police. He is “an excellent analyst and a sensible advocate who always has his feet on the ground,” say commentators. “Committed, analytical and combative,” Elisa Holmes is a noted procurement specialist who has recently represented the Secretary of State of Justice before the High Court. She is also instructed by the BBC on all its procurement matters. Sources were quick to heap praise on this “standout chambers,” pointing out the sophistication with which its members tackle VAT work. Strong on the litigation front, the set is well known for its representation of HMRC, but does also regularly appear for taxpayers. Its barristers have broad expertise in indirect taxation, and impressive knowledge of EU, human rights and public law. Together they form a team that has the largest number of indirect tax specialists at the Bar and one that can handle the lion’s share of the government’s work. “Ferocious, tenacious and courageous” advocate Paul Lasok QC has a broad EU law practice which incorporates VAT work. He has been involved in some of the most significant recent VAT matters, including the Phonecards Main Appeal and Grattan PLC v HMRC. Melanie Hall QC is regarded as “calm, collected and analytically spot-on” by commentators. Her recent work has included the major Calltel, Mobilx and Blue Sphere VAT case in the Court of Appeal. The “extraordinarily bright” Valentina Sloane is held in the highest regard by interviewees, with peers singling her out as a “formidable opponent.” As well as tax, her practice incorporates European, procurement and competition law. On the tax side she deals with VAT, customs duties and excise duties on behalf of accountancy firms, tax consultancies and solicitors’ firms. VAT and indirect taxation specialist Peter Mantle has been involved in various significant matters, none more so than a series of compound interest cases arising from the first ever VAT group litigation to make it to trial. This high-value dispute has involved the Court of Appeal, the ECJ and the Upper Tax Tribunal. “Very effective advocate” Philip Moser has been involved in various missing trader intra-community (MTIC) cases, including Goldex International v HMRC; in all of these he has represented the Revenue. He has an extensive practice in the niche area of VAT fraud. New entry Raymond Hill is described by sources as a “very thoughtful and practical barrister,” who is particularly good on EU-related VAT matters. This set occupies, alongside Blackstone Chambers, pole position as the stable of choice for regulatory telecommunications instructions. Blessed with a plethora of leading QCs and also celebrated for the quality and range of its senior juniors, it is considered to be one of the best-value options going. Observers report that it is particularly good when advice on tricky technical matters is required and only the best sector specialists will do. Jon Turner QC has “got the lot – he’s a brilliant advocate, and really gets to grip with the case.” Famed for his mastery of public and regulatory law, he acted for Carphone Warehouse in one of the largest pieces of telecommunications litigation of 2010, which ran both in the CAT and before the Competition Commission. It consisted of two related, and ultimately successful, appeals against Ofcom decisions concerning the pricing of BT’s ‘copper wire’ telephone and broadband wholesale products. Distinguished advocate Paul Lasok QC recently took part in a judicial review of the lawfulness of a decision by the OFT to close an investigation into cartel activity in the seabed cabling industry. He wins strong market approval as does new silk Tim Ward QC, who is “calm, measured and plays his hand well.” He recently defended the Secretary of State for Business, Enterprise & Regulatory Reform in an ECJ challenge by Vodafone and O2 to the validity of the EU-wide roaming regulation, which imposes a cap on the prices mobile telephone operators can charge for cross-border services. Fellow new silk and expert on competition law Daniel Beard QC is praised for being “commercially focused, super-bright, cogent in his advice and decisive in his interventions.” He recently acted for Cable & Wireless in BT and Everything Everywhere v Ofcom in the CAT. This case looked at the pricing of calls to 0845 and 0800 numbers. Josh Holmes “impresses clients and speaks their language.” A man with “considerable commercial acumen and strong analytical skills,” he offers “perfect off-the-shelf advice and he gets it spot-on every time.” Holmes regularly appears for Ofcom. 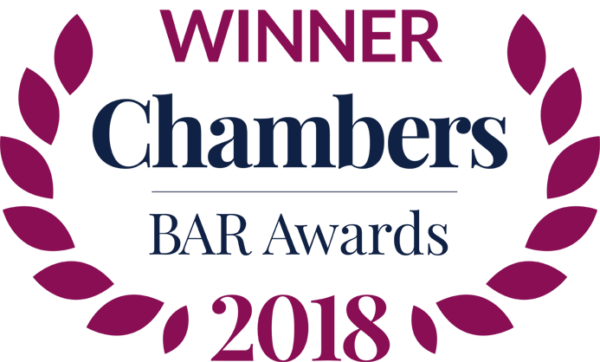 The “outstanding” Anneli Howard is “a client’s dream counsel – a real class act.” She advised BT as sole counsel in the preparation of its appeal against Ofcom’s market review statement for the fixed wholesale narrowband services market. Ben Lask is fast becoming a favourite junior for Ofcom in its high-profile battles with market-leading operators. One case he handled was Sky v Ofcom, an appeal in the CAT against a decision by the regulator to impose a wholesale must-offer obligation on the broadcaster in respect of Sky Sports channels.